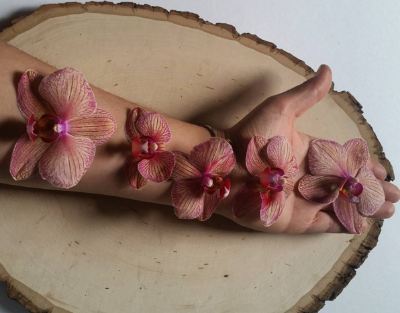 Every herb, flower & leaf is hand-picked, pressed & dried with love, good intentions, appreciation & admiration for them. Sage is a member of the Lamiaceae, or mint, family. Its scientific name, Salvia Officinalis, derived from the Latin word, "salvere", which means "to be saved." 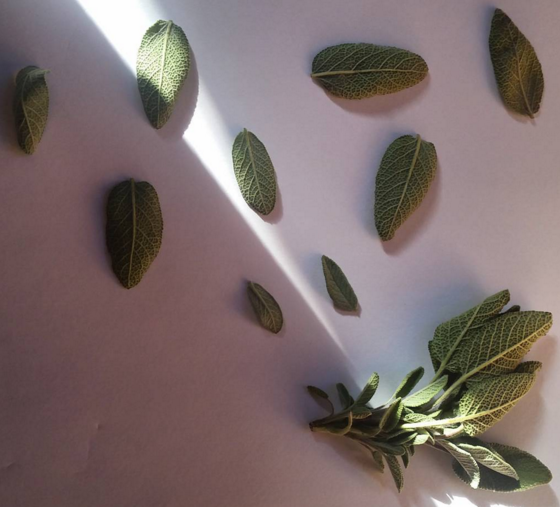 Sage is native to countries surrounding the Mediterranean Sea. It has been consumed in these regions for thousands of years. In medicinal lore, Sage has one of the longest histories of use of any medicinal herb.The Greeks & Romans were said to have highly prized the many healing properties of sage. The Romans treated it as sacred and created a special ceremony for gathering sage. Arab physicians in the 10th century believed that it promoted immortality, while 14th century Europeans used it to protect themselves from witchcraft. Sage is worn for Immortality, Longevity, Wisdom, Protection & Wishes! 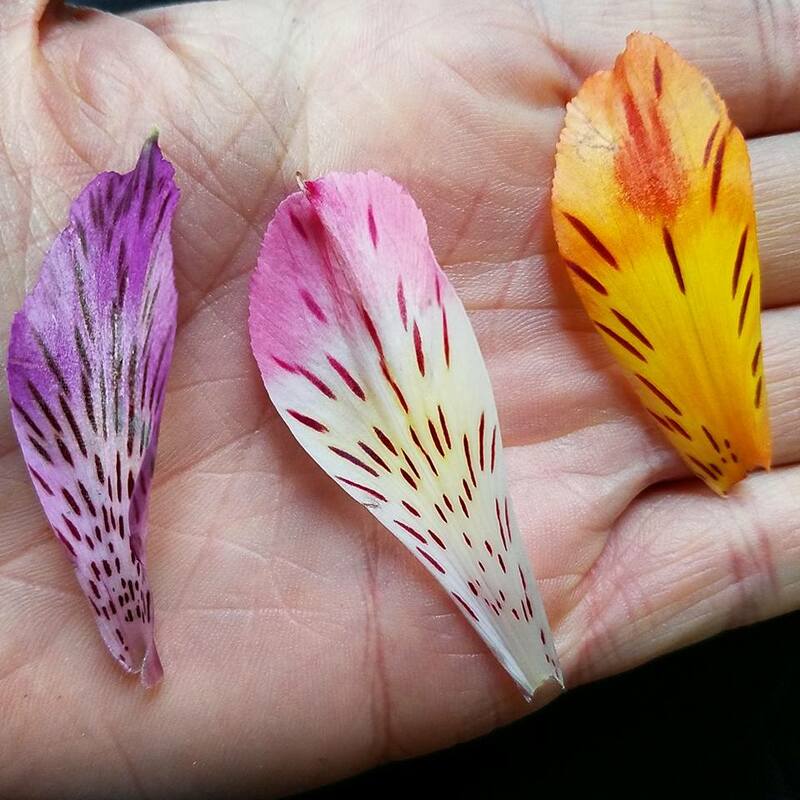 Alstroemeria, also know as the "Peruvian Lily" was born in South America. The famous botanist, Carl Linnaeus, named the flowers after one of his pupils, Clas von Alstroemer. Clas sent Carl the seeds in 1753 after he’d collected them on a trip to South America. Alstroemeria is said to symbolize the power of friendship & mutual bond of support between 2 people due to alstroemeria's leaves growing upside down, with the leaf twisting as it grows out from the stem, so that the bottom is facing upwards - much like the twists, turns & growth of our friendships. Some metaphysical believers keep the flowers around to attract new friends into their lives. Alstroemeria also symbolizes wealth & fortune. This lily comes in a variety of colors due to extensive breeding. Pink & red Alstroemerias show your warmth & affection towards a friend. Orange keeps you working towards your goals. Yellow, white, & blue express your concern to a loved one who isn’t feeling well.